Skátalaug geothermal pool 100% pure nature full of water of perfect temperature in the Krýsuvík geothermal area. 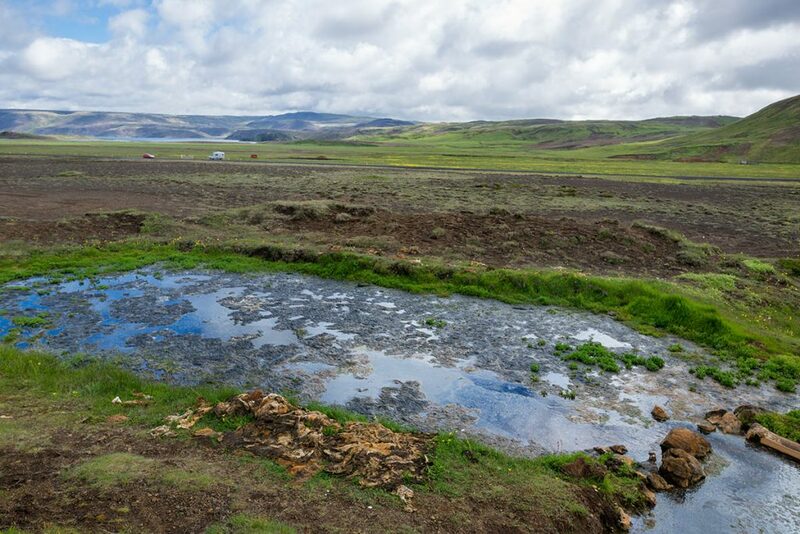 If you want to take a bath on Reykjanes and you are not lured by the Blue lagoon, this can be a perfect spot for you. It is the closest natural geothermal pool to the Keflavík international airport, so here you can experience Icelandic hot waters at the very beginning of your stay. Or enjoy here some times berore you take off. Skátalaug is located 200 meters (220 yd) off the road nr. 42 midway between Kleifarvatn and Krýsuvík-Seltún geothermal area. 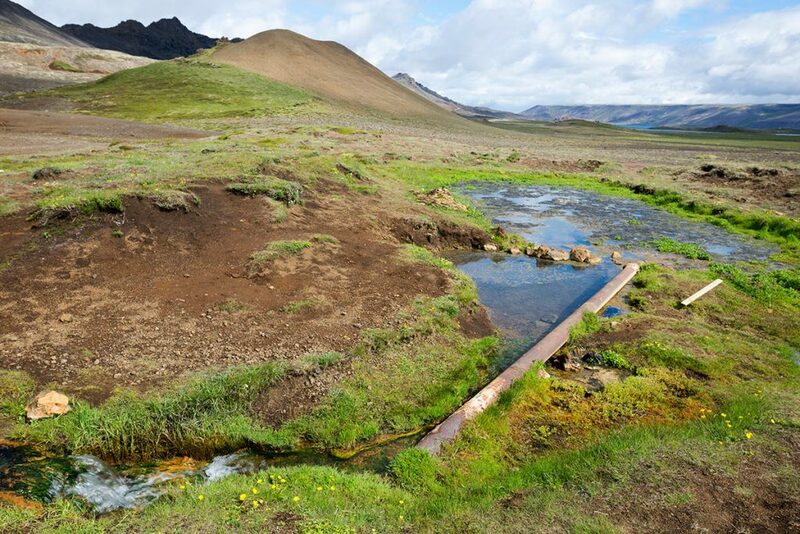 GPS coordinates of the Skátalaug geothermal pool: 63.903947, -22.043195 Take me there!